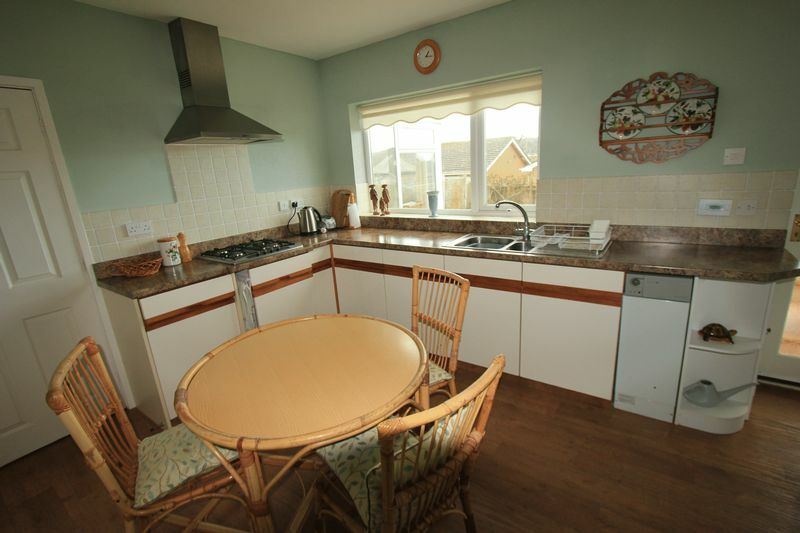 A two bedroom detached bungalow situated in a sought after location close to the local amenities of Rhos on Sea and Llandudno. 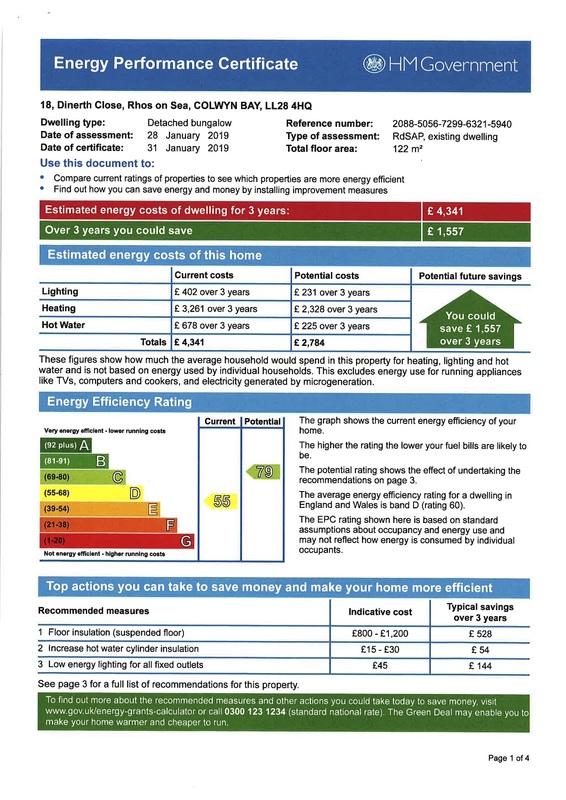 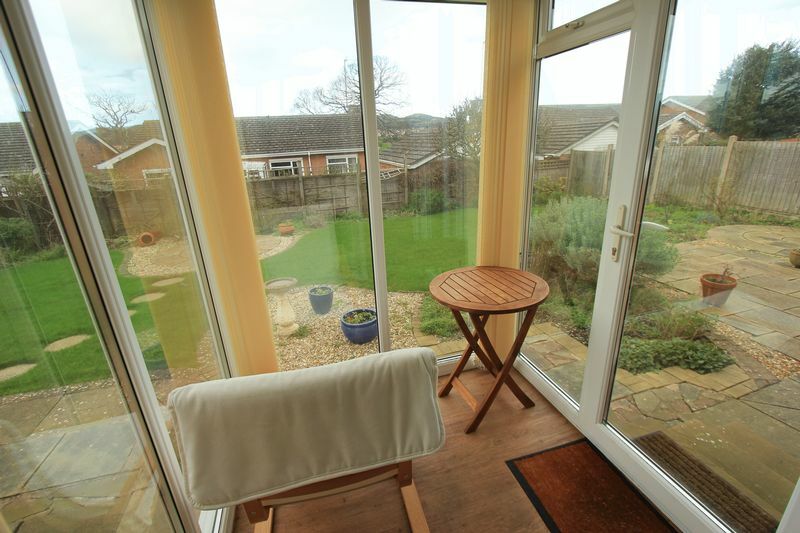 The property has been well cared for and benefits from upvc double glazing and is well worth viewing to appreciate the potential. 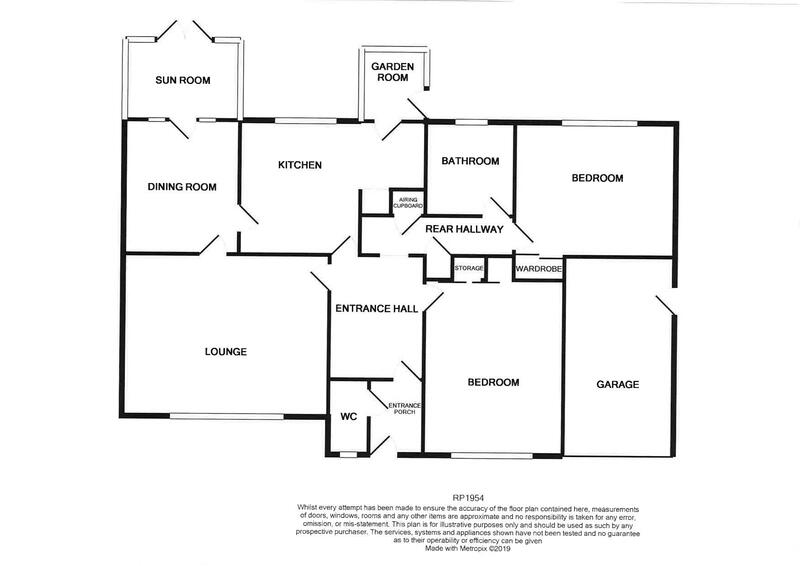 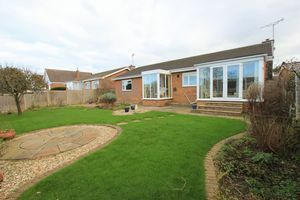 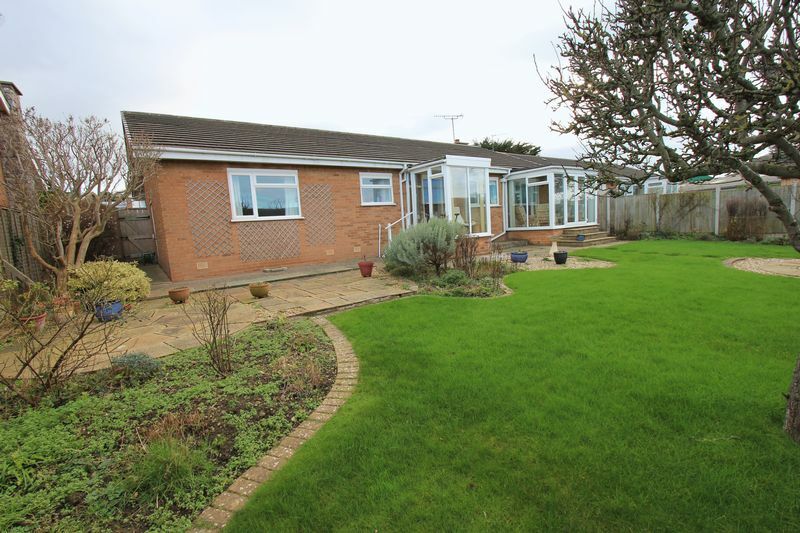 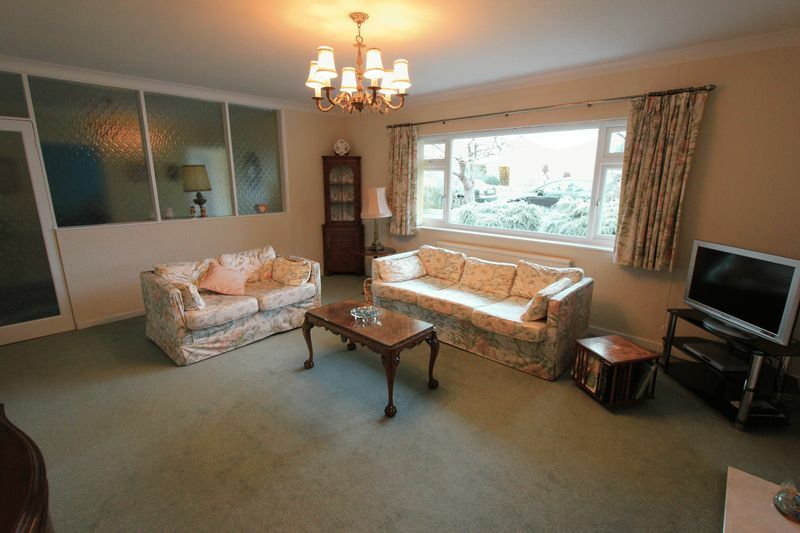 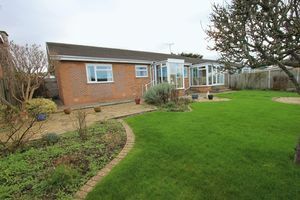 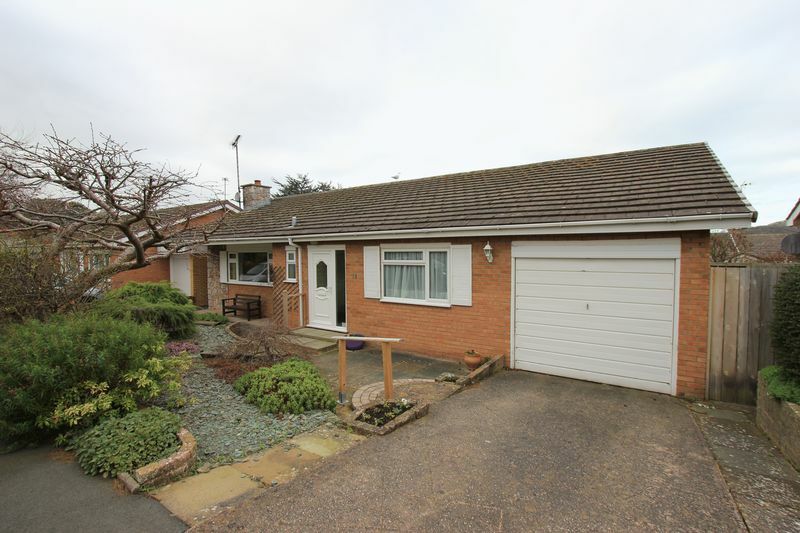 The accommodation in brief comprises of hallway, w.c, inner hallway, large lounge, dining room with french doors into the conservatory, good size kitchen, rear porch, two large double bedrooms both with fitted wardrobes, bathroom and two storage cupboards. Outside to the front there is off road parking for one vehicle and access to a single garage. 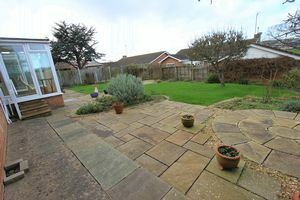 The large rear garden is enclosed with a flagged patio area, laid to lawn with borders containing mature shrubs. 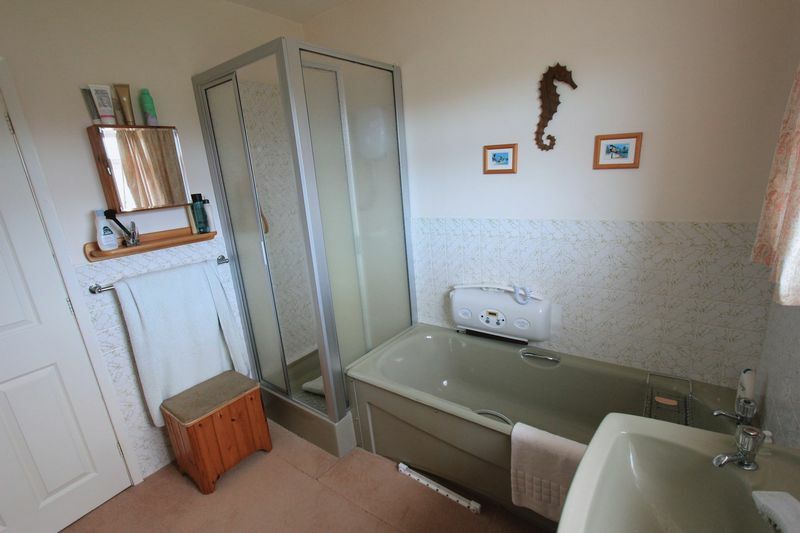 Upvc double glazed window to front aspect with frosted glazed inset, radiator, door gives access to inner hallway and w.c.
Upvc double glazed window to front access with frosted glazed inset, low flush w.c, ceramic wash/hand basin, part tiled walls. 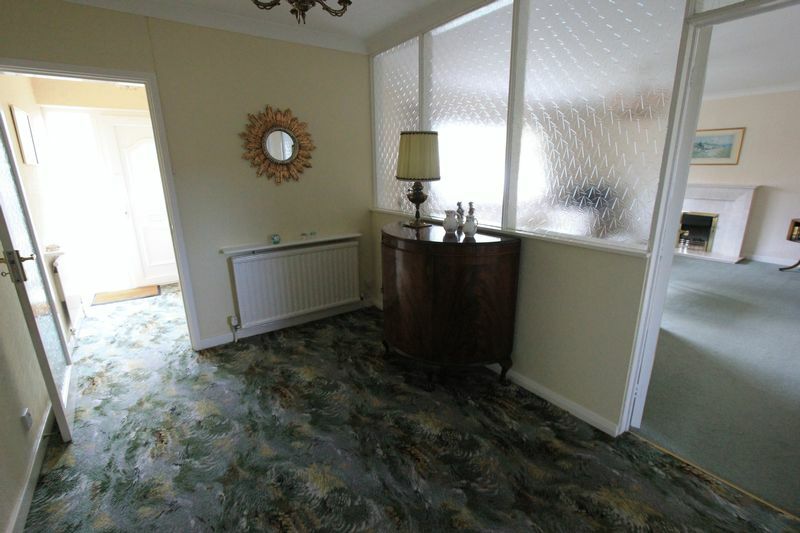 Door from hallway leads into inner hallway. 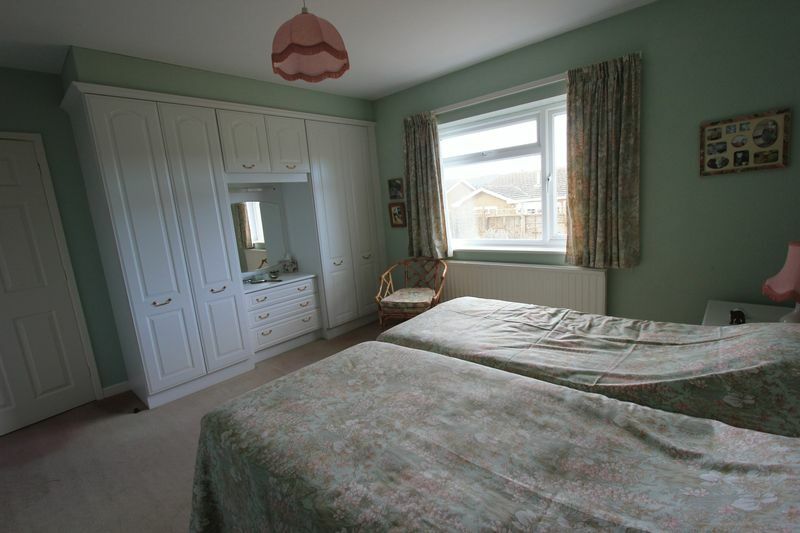 Coved ceiling, radiator, doors give access to lounge, kitchen, bedroom one, bedroom two, bathroom, storage cupboard and airing cupboard. Upvc double glazed window to front aspect, two radiators, coved ceiling, marble fireplace and hearth with electric fire, television point, door give access to dining room. 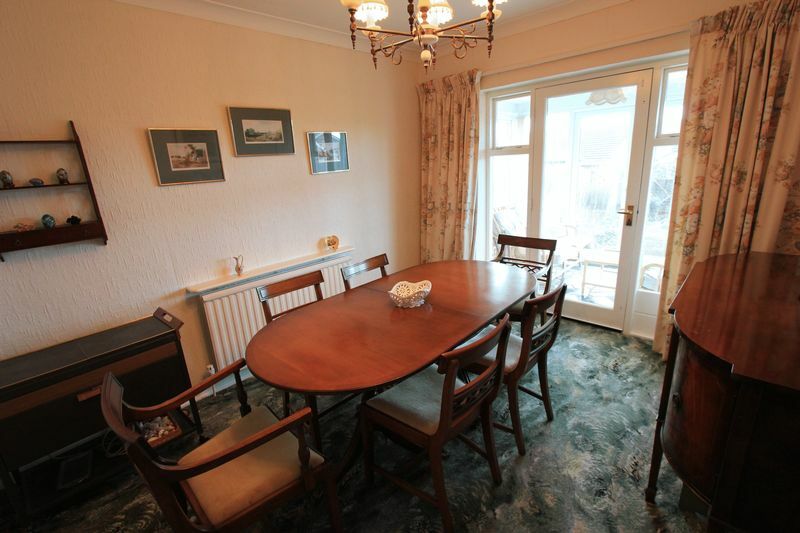 Four windows to rear aspect, door gives access to conservatory, radiator, coved ceiling, door gives access to kitchen. 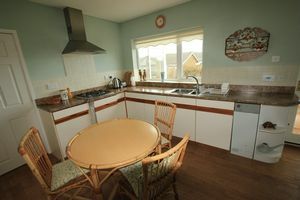 Maximum, upvc double glazed window to rear aspect with outlook onto garden, timber framed door with frosted glazed inset gives access to rear porch, radiator, wood effect vinyl flooring, combination of wall and base units with marble effect work surface over, four ring integrated gas hob with chrome extractor fan above with inset lighting, integrated Neff electric oven and grill, stainless steel one and a half bowl sink and drainer with chrome taps, space for washing machine, space for dishwasher, space for fridge/freezer, wall mounted boiler, door leads to rear porch. Upvc double glazed windows to rear and side aspect with far reaching views, upvc double glazed door gives access to garden, wood effect vinyl flooring. 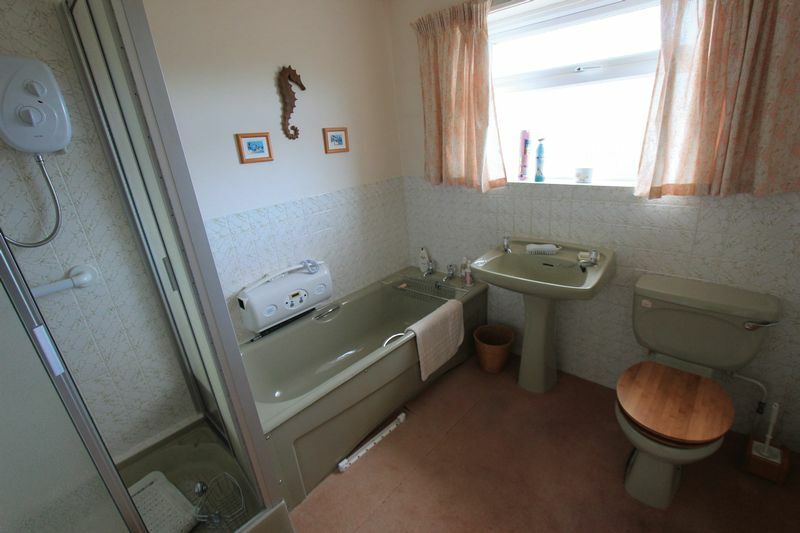 Upvc double glazed window to rear aspect with frosted glazed inset, radiator, low flush w.c, ceramic wash/hand basin, panel bath, separate shower, part tiled walls. 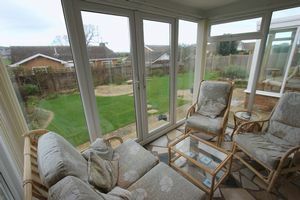 Upvc double glazed window to front aspect, radiator, three sets of built in wardrobes with storage above. 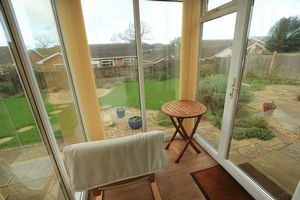 Upvc double glazed window to rear aspect with far reaching hillside views, radiator, built in wardrobes and dressing table. 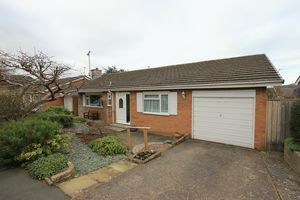 Electric up and over door, timber framed door with frosted glazed inset gives access to garden, wall mounted fuse board, wall mounted gas meter. 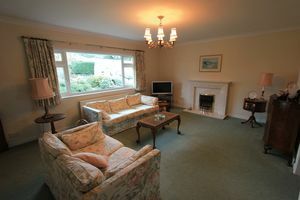 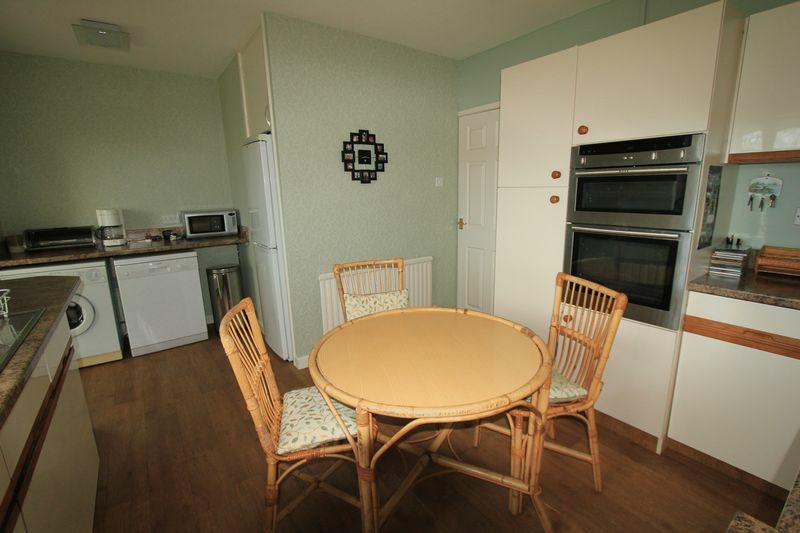 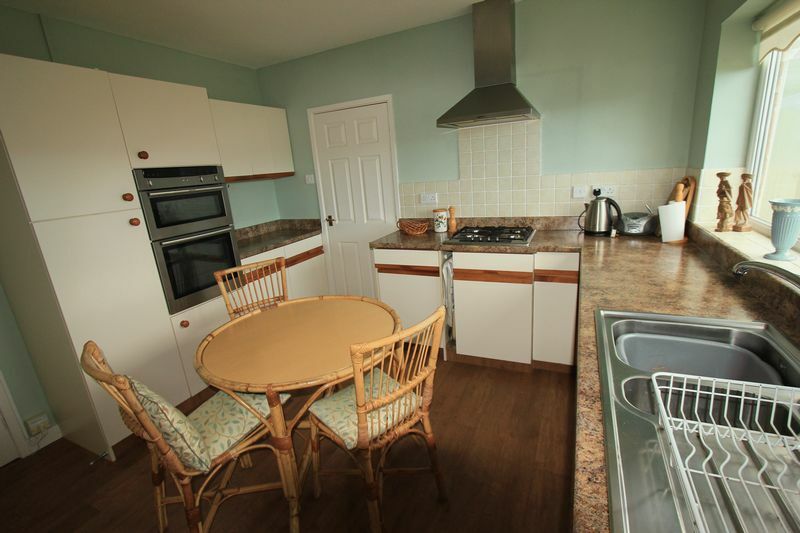 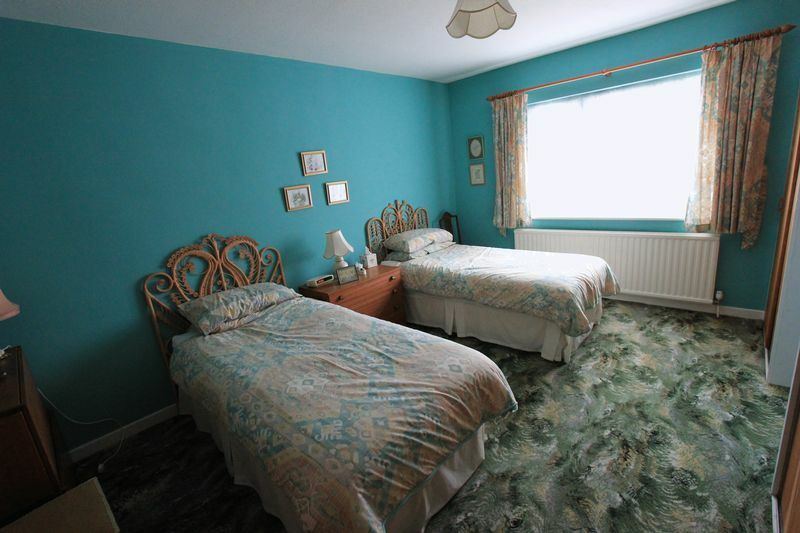 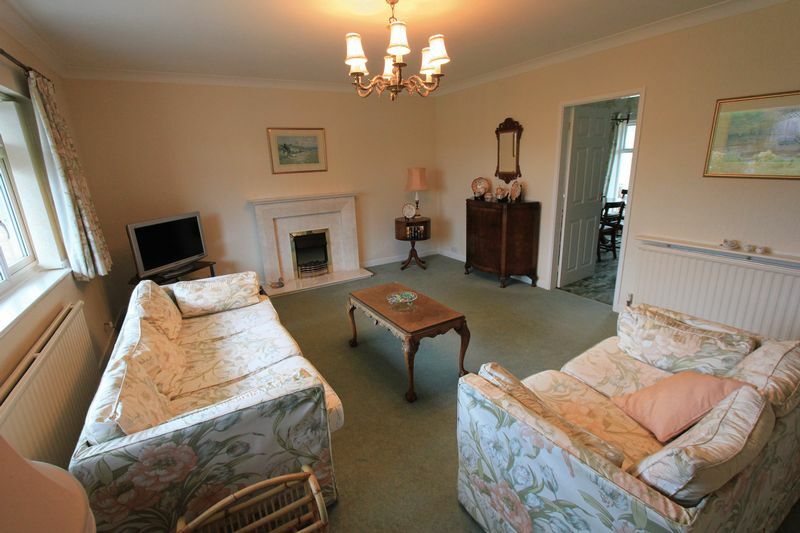 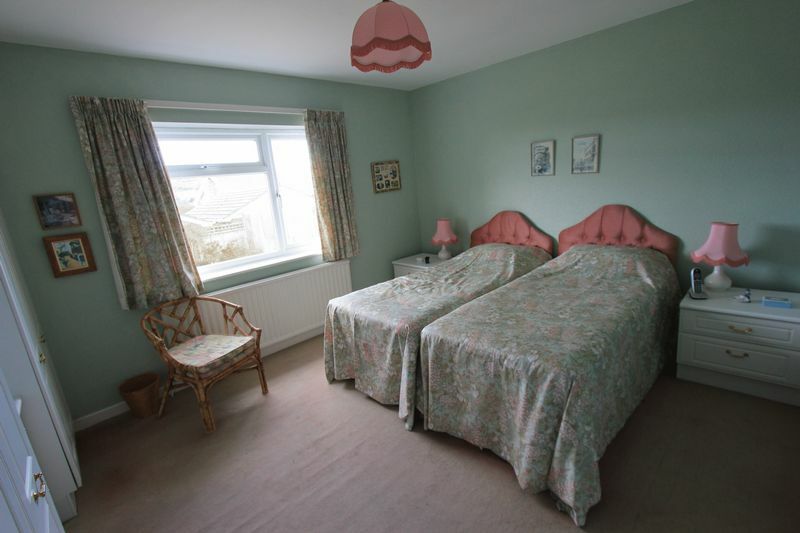 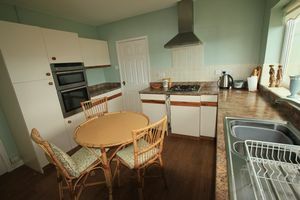 The property is located in the popular coastal resort of Rhos On Sea with a wealth of local shops and other facilities. The larger resorts of Llandudno and Colwyn Bay are close by and it is conveniently located for easy access to the A55 dual carriageway for Chester and the motorways beyond, also the main rail line Holyhead to Euston. From the Rhos On Sea office turn left down Penrhyn Avenue, left onto Church Road, proceed to the T junction turn right onto Llandudno Road, pass the church on the right, take the third left turn onto Marston Road, right onto Dinerth Avenue, left onto Dinerth Close.